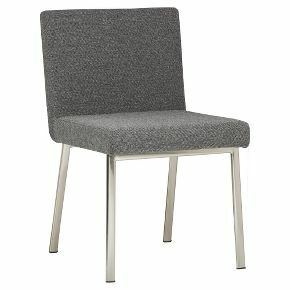 At just $150, CB2′s Joe chair is the perfect extra seating in any room. Personally, I’d like to pair a couple with a white Parsons table and a couple of red/orange Eames side chairs. 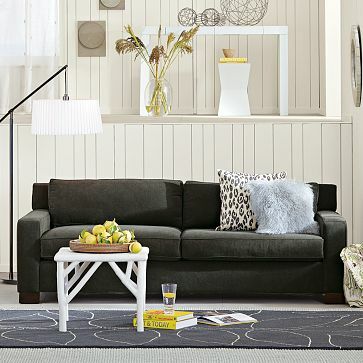 The tight-knit black-and-white tweed might play nicely with the most perfect gray sofa ever (on my budget), and I love the retro school furniture look. I remember the horrible set of black towels my husband had when we first met. Yeah, lost in the move…. 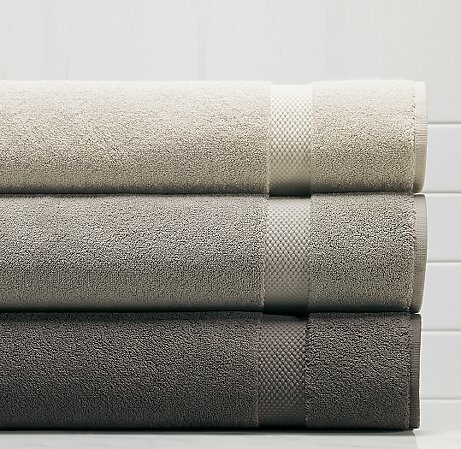 I love soft, all-white towels, but I must say that the Ash color group in Restoration Hardware’s Turkish collection are absolutely beautiful. In muted graphite, stone and ash, they’re a subtle accent for the bath. Hickory Chair’s Kelsey chair is simple opulence. Feminine shapes, an upholstered leather shield back, completely understated elegance. Decades-old glamour with a new twist. It is all those “juxtaposition phrases” you use when you can’t quite describe how brilliant a chair really is. This entry was posted in Accessories, Bathrooms, Bedrooms, Color, Design, furniture, Living Room by Melanie Jones. Bookmark the permalink. Wow, you share my obsession with a gray palette! Lovely furniture selections, thanks for sharing. Thanks! It’s the perfect foundation to build on with color! Glad you liked it! Very nice selection of furniture and rug scheme. Masculine with enough softness on the edges. I like the book shelves — very functional.